Duration: Volunteer 1 week ( 7 days) - Initial Maximum stay 2 weeks. 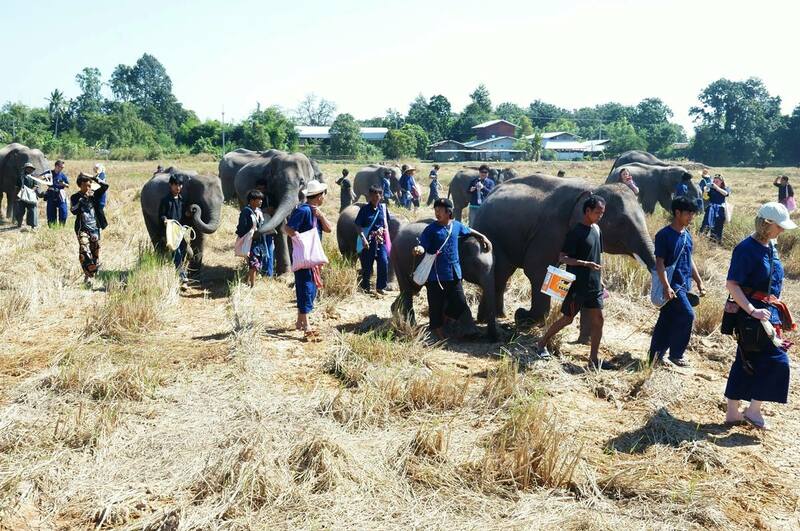 Surin Project - Weekly Volunteer: The Surin Project´s main focus is placement of elephants into more natural surroundings where volunteers can walk alongside them and observe these magnificent creatures in a vastly improved environment. This offers the mahout owners an alternative form of employment away from elephant riding or circus shows which are the common forms of income for many mahouts in the area. The Khun Chai Tong Surin Project is a unique concept aimed at improving the living conditions of captive Asian elephants by providing economic sustainability for their owners through responsible volunteering. 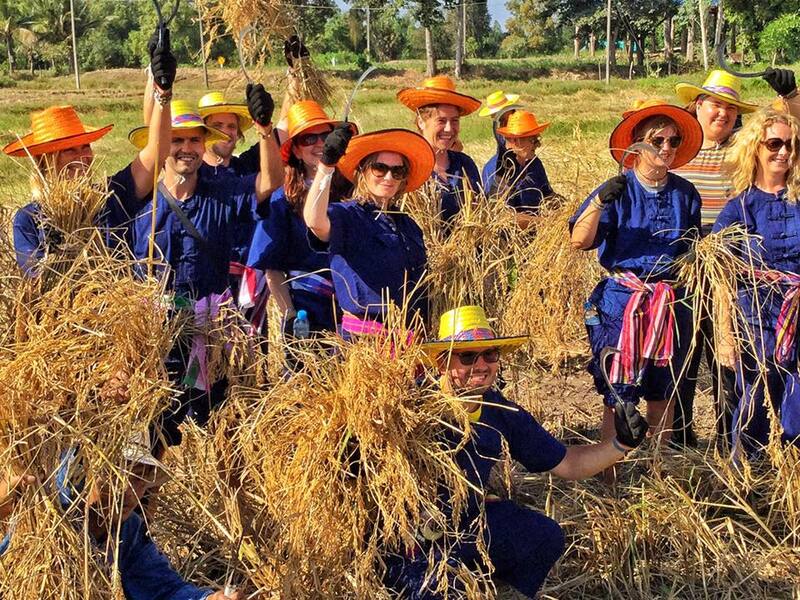 We work alongside the Gwi community in the Surin Province in North East Thailand. 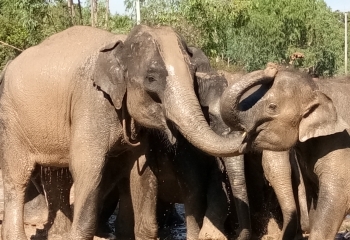 The Khun Chai Tong’s main focus is to get the elephants off of the street and out into more natural surroundings where volunteers can walk alongside and observe these magnificent creatures in an environment of care. This offers the mahouts who own the elephants an alternative form of employment to elephant riding or elephant shows which are the main forms of income for many in the area. 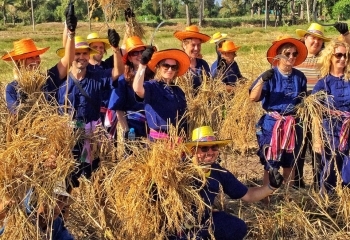 Volunteers coming to the Surin Elephant Home Stay should expect to be engaged in the local Gwi culture in the remote village of Khun Chai Tong. Working alongside the mahouts and the local community volunteers will learn more about this unique culture and their relationship with elephants. 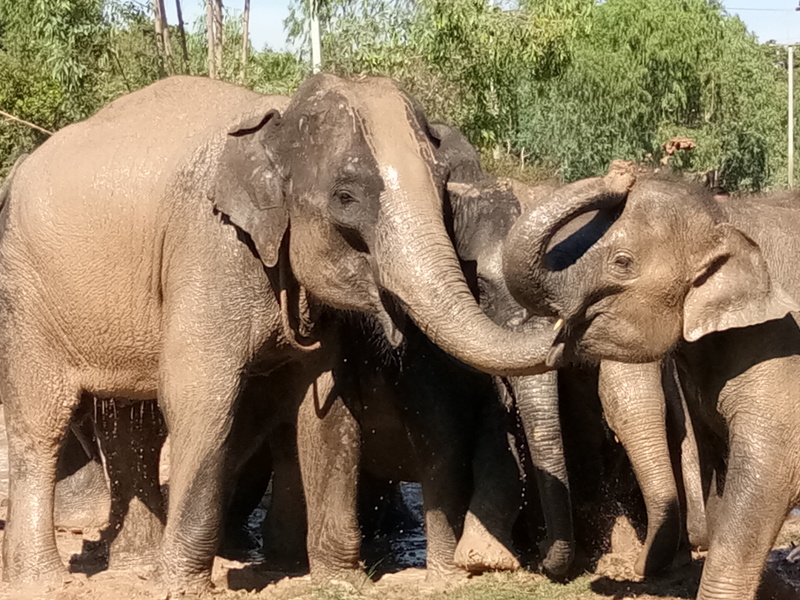 Most importantly volunteers will get a chance to go out on daily walks and observe the elephants interacting with each other in a more natural setting. Hopefully, in time, as volunteer numbers increase, and we show the local mahouts that people are willing to see elephants in a natural state they will adapt their mindset to be more considerate of the elephant´s welfare and expand our ability to support more elephants and mahouts in this region. You will be living on site in basic but comfortable home-stay same gender shared accommodation. Volunteers will eat together for every meal. The food is healthy and varied, with a buffet style breakfast, lunch and dinner with many different dishes to choose from. and vegetarian food is always available. All dietary restrictions are catered to. Independent travel costs to and from Buriram (or directly to the project, our staff can help you arrange this at an additional cost. Please see below for more details. 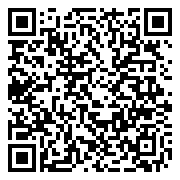 Any additional costs such as trips, snacks, entertainment (allow a few hundred Baht per day depending on lifestyle). A visa is not necessary for under 30 days from most Western and European countries. The initial maximum 2 weeks may be extended depending on availability and suitability. Any decision of extensions will be made at the end of your stay with us. Own travel to project: For volunteers already in NE Thailand or travelling from Cambodia it can be more convenient to travel to Khun Chai Tong via Surin city bus station. Please contact our staff for more details if you plan on doing this as you will need to arrive at project on Monday no later than 3pm. Return after finishing at the project: Depending on where you want to return to you will either leave on Saturday evening or Sunday morning – Bangkok arrive around 3:00pm. Other forward transport can be arranged when you are at the project. The cost to volunteer for one week (Monday - Sunday) is 15,000 Baht. Volunteers must be at least 16 years of age, and any participant younger than 18 years of age must be accompanied by a legal guardian.